Volunteer Connect Douglas County Celebrates 10,000-Volunteer Milestone! Volunteer Connect Douglas County has been connecting volunteers with nonprofit organizations in the county since January 2014 via its interactive website at VolunteerConnectDC.org. Recently, the organization reached a significant milestone: More than 10,000 volunteers have registered through the online resource. And those users are active volunteers. VolunteerConnectDC.org is not a database of potential volunteers; on the contrary, users must register for a volunteer opportunity before they are added to the portal. The 10,000-volunteer milestone represents people who have been active in giving back in their communities. Volunteers of all ages can choose from multiple opportunities throughout Douglas County directly from the website. Individuals, families, and groups looking for ways to help can volunteer for one-time community events or short- and long-term commitments. High school students can easily find community service opportunities to fulfill graduation requirements. 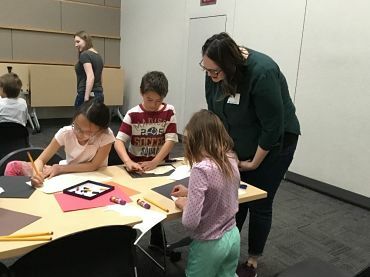 The volunteer resource began as an initiative of the Partnership of Douglas County Governments (PDCG) as a way to ease the process of volunteering in Douglas County. One volunteer application is applicable to the many local nonprofits seeking volunteers. 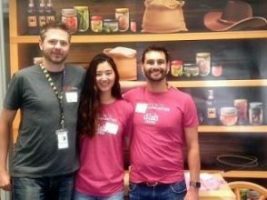 Because it’s a one-stop portal, VolunteerConnectDC.org encourages Douglas County residents to give back locally with minimal administrative effort. PDCG organizations include City of Castle Pines, City of Lone Tree, Douglas County Government, Douglas County Libraries, Douglas County School District, Highlands Ranch Metro District, Town of Castle Rock, Town of Larkspur and Town of Parker. Volunteer Connect Douglas County has over 25 nonprofit member organizations. For detailed information on all members, visit the Organization Directory. Do you enjoy events, like to meet new people and want to give back to the community? If you love Parker and want to be a part of helping us keep our hometown feel, we’d love to have you join our volunteer group for the Christmas Carriage Parade on Saturday, December 8, 2018. Volunteers are an integral part of the Town’s signature events. Parker is able to put on these signature community events largely thanks to our amazing volunteers who lend their time and talents to us. We are seeking Parade Route and Street Closure Marshals for this year’s parade. All positions are a one-day obligation and shifts vary depending on what you are interested in. There is also something for everyone. If you’d like to be in the heart of the activity, the Parade Route Marshal will be a great volunteer position for you! Parade Route Marshals will be responsible for assisting with crowd control along an assigned portion of the parade route and will be standing or walking the entire time. They will be tasked with reminding patrons to stay off the street during the parade and assisting with any event questions. For those who would rather be a little bit away from the main crowd, our Street Closure Marshal would be a great position for you. These volunteers will be positioned at street closure intersections. Volunteers at this position will be monitoring the closure area and assisting with giving out information for alternate ways to get around parade closures. This position will be able to bring their own lawn chair and may have some down time during certain parts of the day. 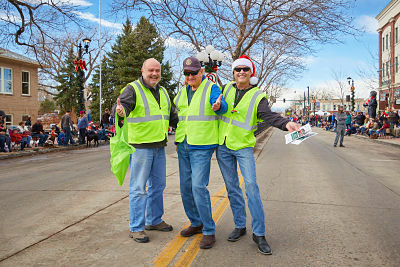 For more information on volunteer opportunities, please visit the Christmas Carriage Parade Volunteers page on Volunteer Connect or contact Brooke Spain at bspain@parkeronline.org or 303.805.3253. The Town of Parker also has a variety of other events throughout the year and we’re always looking for volunteers, so be sure to check out our opportunities here. Thank you for making a difference in Douglas County, Colorado! American Diabetes Association is a new member of Volunteer Connect Douglas County and is actively posting volunteer opportunities. 1 in 11 Americans has diabetes today. Together, let’s help every 1. Their mission is to prevent and cure diabetes and to improve the lives of all people affected by diabetes. Do you know someone with diabetes? Are you at risk? You can help by volunteering at the Tour de Cure on Saturday, September 8, 2018. Several volunteers are needed for event set up, registration, route marshals, tear down and more! Click here and register for a shift that works with your schedule. 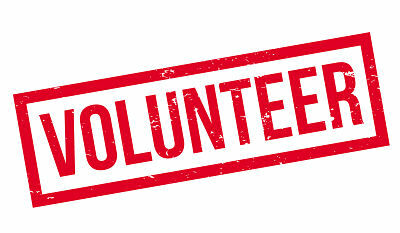 To learn more about volunteer opportunities at American Diabetes Association in Douglas County, Colorado, please email Lindsay Phelan at LPhelan@diabetes.org.